Kuber Ventures Tax Planning workshop was well received in the aftermath of the Brexit decision. 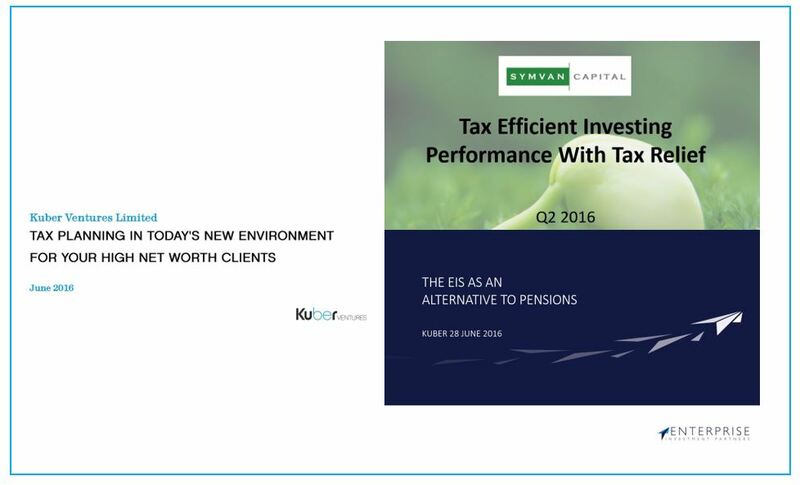 With insightful and informative guest contributions from Martin Sherwood, Enterprise Investment Partners and Kealan Doyle, Symvan Capital, participating advisers enjoyed a CPD qualifying 2 hours. Case studies were utilised in order to look at Alternative Pension provision through EIS and CGT Mitigation through SEIS. The Kuber slides are available here. The Enterprise Investment Partners slides are available here. The Symvan Capital slides are available here.